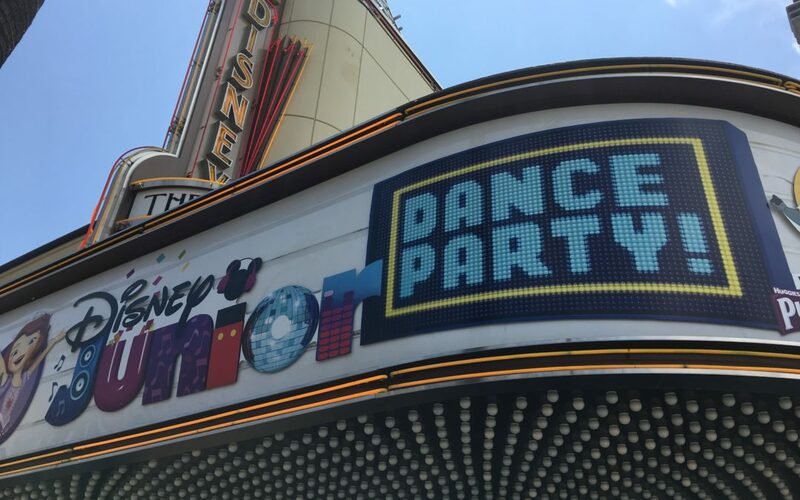 New Disney Junior Dance Party in California Adventure! 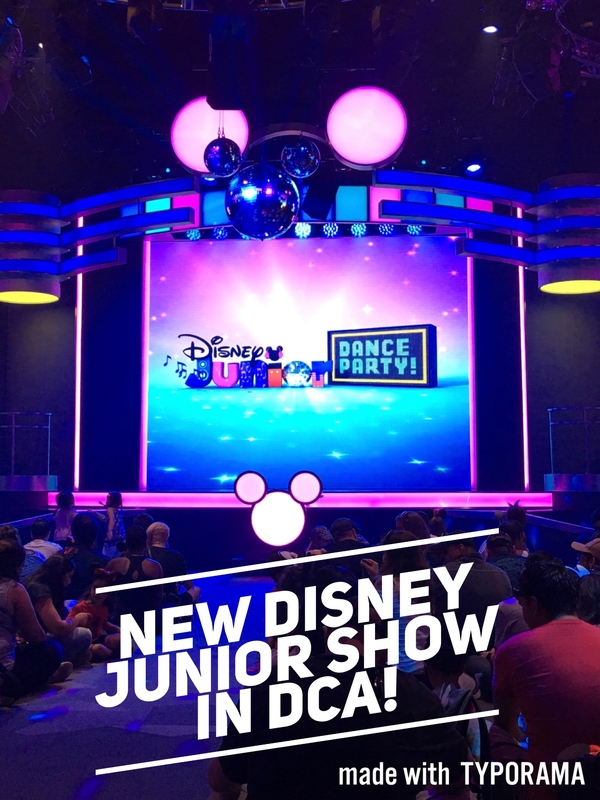 For a while, Hollywood Land housed “Disney Junior: Live on Stage!” where young Disney fans could meet some of their favorite Disney Junior characters (as puppets) in a lively show. 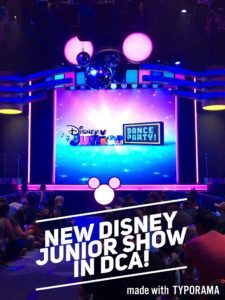 Recently, Disney has vamped up this show and completely transformed it into the “Disney Junior Dance Party” with lots of new and exciting changes! 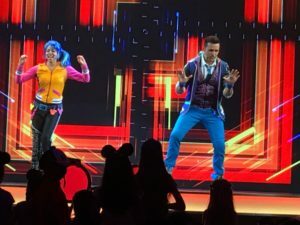 This updated show is fun for kids and parents alike and something every family should add to their California Adventure bucket list. The “Disney Junior Dance Party” is now way more technologically advanced and updated with the current Disney Junior shows that have become very popular. The stage has several screens and there is even a Mickey shaped disco ball for dancing! 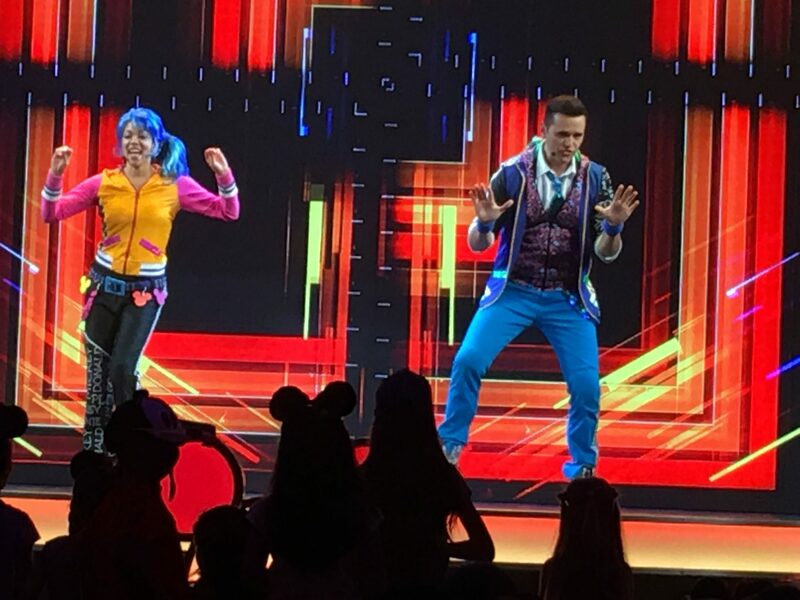 The concept of the show is that DJ DJ (the host) and her friend host a dance party in which they “spin in” characters from shows like Sofia the First, Doc McStuffins, The Lion Guard, and the new Mickey and the Roadster Racers. 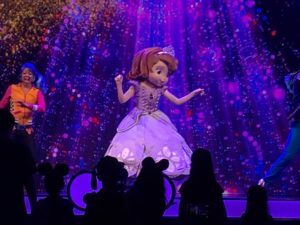 This means that, with audience participation, characters travel from screen to stage in a seamless transition that wows the crowd. 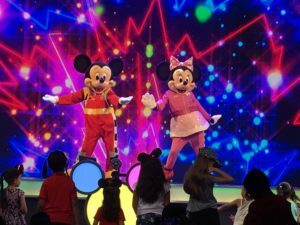 Your young ones will be amazed that their favorite characters magically appear from their tv lands to the stage in a matter of seconds! 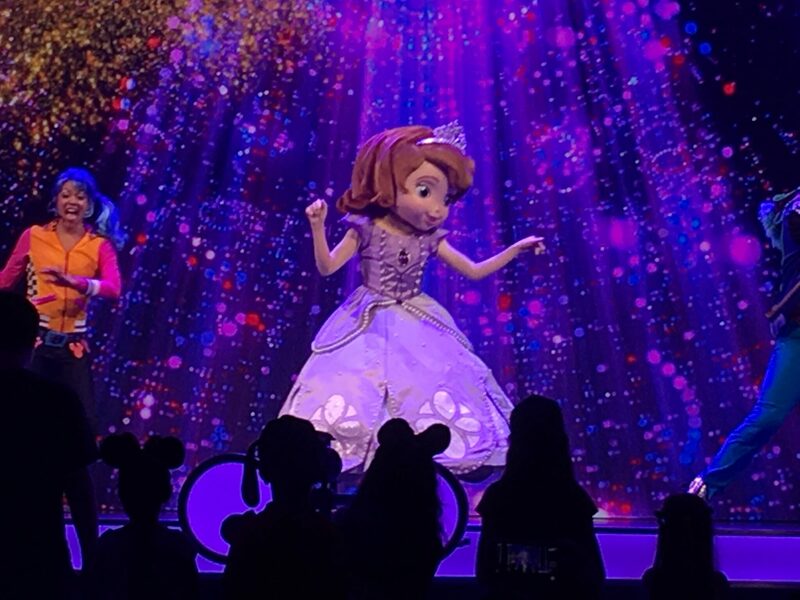 First to appear is Sofia the First who gets the audience to “Make Some Noise” and dance around like royalty. Then Doc McStuffins appears and helps Chilly the Snowman, who gets “warm and toasty – osis,” cool down and show off his Chilly Chilly Cha Cha. It even “snows” in the audience! 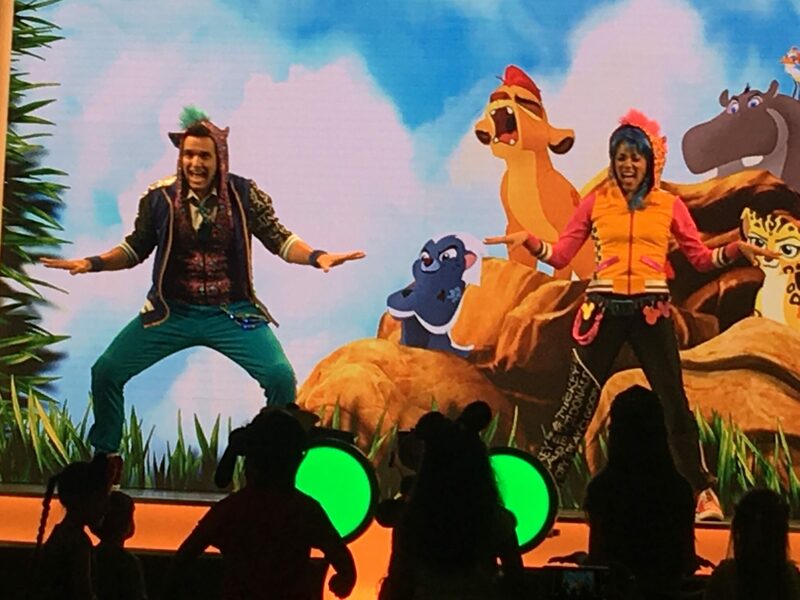 Next Timon from The Lion Guard gets the kids to “Zuka Zama Zum” with his Pride Rock friends. The kids are encouraged to make animal noises to get into the spirit! 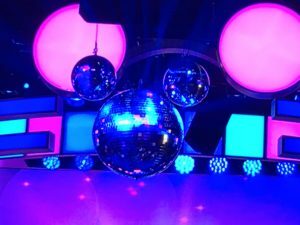 All throughout the show DJ DJ brings out a camera that pans out to the audience and highlights the kids’ fantastic dance moves on the big screen. The children were thrilled to see themselves up on the screen like all of their favorite characters. This show is so much more up to date and technologically advanced that it fits with the generation of young ones today. 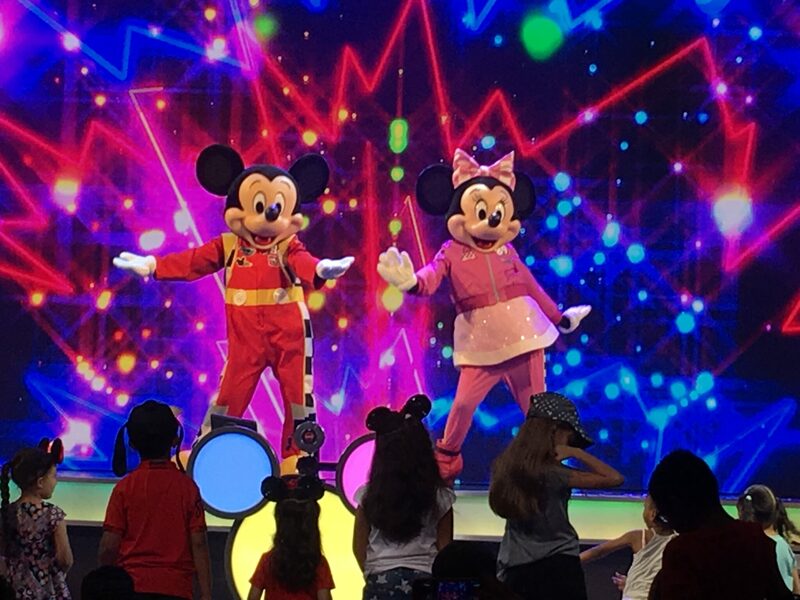 The music, the characters, the hosts, everything is lively and fun for the whole family! This show is a must see for families so be sure to check it out the next time you are in California Adventure! 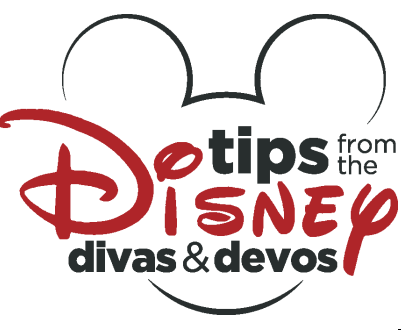 And if you need help planning your next Disney Vacation, consult with our FREE Disney Diva Travel Agent, Patricia, at All for Dreams Travel!